YOGYAKARTA, MD FEB UGM conducted two days training as an effort to promote mental well-being for the students and staffs. The training is entitled: Mind Power and Control. The first day of training is conducted for the doctoral student of MD FEB UGM and the second day is for employees of MD FEB UGM. The training is held at Lippo room, MD FEB UGM at 4th and 5th May 2018. The keynote speaker/trainer for this training is Denny Farabi, who has well-known expertize in mind and emotion management. The first day of training was opened by Dr. Nurul Indarti, the coordinator of master of science and doctoral program in Management. 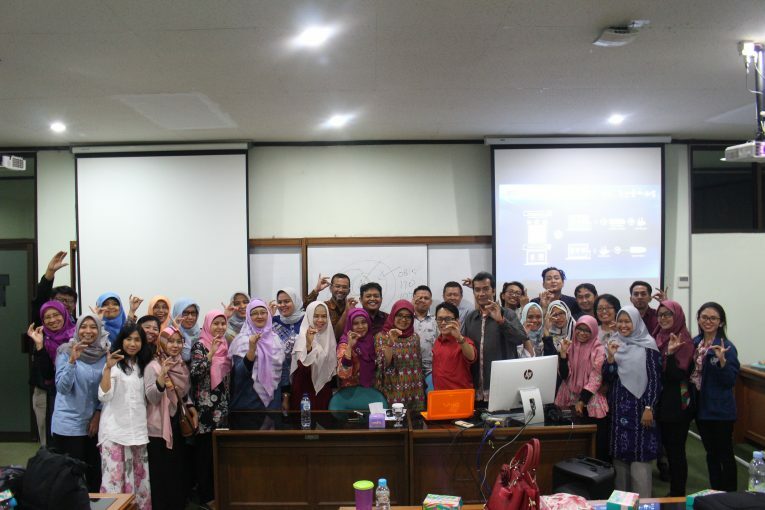 Nurul stated that the objective of the training is to help the doctoral student to redesign their way of thinking and manage their emotion effectively. As Nurul ended her speech, Denny Farabi started the training session. The training was a mix between lecturing and practicing how to use our mind power to maintain our physical and mental well-being, manage stress level, and achieving our personal goal. Denny also trained the students how to convert negative thought and emotion become positive thought and emotion. This mixed approach to the training created a positive training experience for the participants. One of the participants, Sri Widayati, who is a doctoral student in MD FEB UGM said: “The training is beneficial and informative for me, now I am able to awaken the positive energy from my mind and channel it in my daily activity.” Other participant named Deni Edy Widodo, who is also a doctoral student in MD FEB UGM that he is content with the training as the training gave him new insight into mind power. The second day of the training was attended by the employees of MD FEB UGM. The second-day training was opened by Dr. Rr. Tur Nastiti, the manager of academics& students and cooperation affairs. In her speech, she said that the training was an effort to improve employees soft skill. The improvement is needed as the employee is the asset of organization. By the end of the training, it is hoped that the employees can have better job performance and improved quality of life.